I’ve finally finished sewing on the fourth border to Leo’s Mane. It needs ironing before I can get a good picture of it. But that means I was finally able to start the fifth and last of the borders. I have to make 40 of these plus sign type sections. They go together quite quickly, though. I think I have 10 of them done already. So I’m hoping to have the whole thing done by the end of February. But more realistically, it will likely be closer to the middle of March. This is going to be a short a quick post. We’re in the middle of watching a PBS series about Queen Victoria and it’s really good, so I’m going to post this, link up to Kathy’s Slow Sunday Stitching and then continue watching and stitching. However, the good news is I’m all better now, even if I lost a week. I had hoped to have all of the fourth border for Leo’s Mane finished and attached to the main body by now. The last of the fourth border sections is now finished and laying along side the left side of the quilt. After I post this, I’ll start stitching it to the main body. Then I can start in cutting and sewing the fifth borders which is the last one. Whew.... what a long process this has been. But that’s what slow hand stitching is all about, being slow and enjoying the process. I’m linking up to Kathy’s Slow Sunday Stitching and then will be finding something to watch on the computer while I stitch. This has been a crazy busy week, mostly spent on the computer working on new designs for our Canadian web site Eagles Wings Quilts where we sell English Paper Piecing supplies. We also have a few notions perfect for hand piecing and a few books. 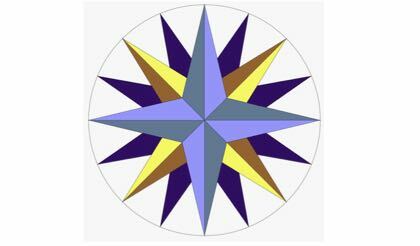 I received a request last week for a large English Paper Pieced Mariner’s Compass, so I spent a lot of time in EQ7 and then in Corel Draw getting it ready for the laser cutter to process. And then there was the time required to list it on the web site. But it was time very well spent. It’s available in finished sizes ranging from 33 1/2 inches from tip to tip to 10 inches from tip to tip. If you are interested, here is the link to the web site page for it Mariner’s Compass. Take some time and browse around to see what else we have. I’ve been slow lately adding new stuff to the web site, so this was good incentive, Also included in the same request was a design for an English Paper pieced Double Wedding Ring. That is in progress and will go up on the site in the next week or two. I also got hit with a fibromyalgia attack on Thursday, which had me flat on my back on the couch not doing a single thing other than resting. All this to say my slow stitching has been slower than normal. 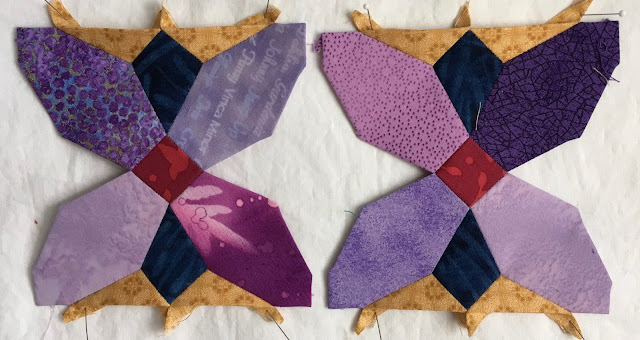 I did get more done on Leo, but this particular border, although I love the way it looks, has lots of little pieces and is quite slow going. The finished effect will be quite worth it, though. I’m in the process of adding in the little edging scalene triangles. On all of the other three borders of this section, I added them all on after the pieces of the border were sewn into one length. I found that a bit awkward to handle, so I’m trying them as separate blocks instead, and it’s working much better. This will be the way I write it up for the sew along and pattern instructions. 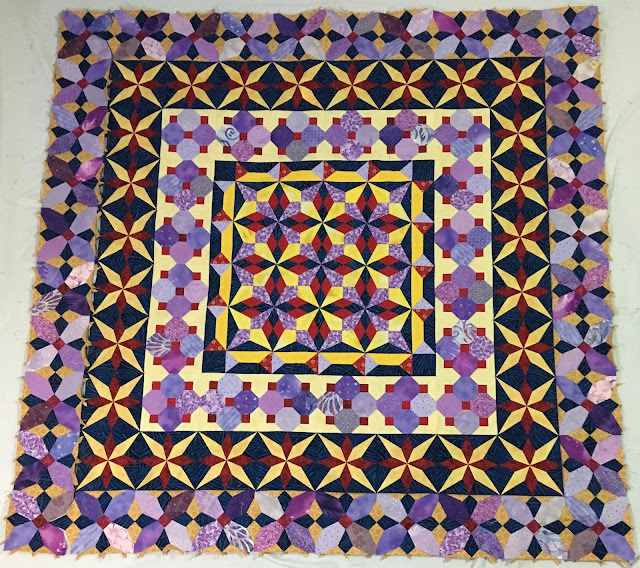 I have two more to finish, which I hope to accomplish today, and then I can start sewing the last of this particular border together and then attaching them to the main body of the quilt. My goal is to have them done and attached by the 15th, which gives me a week. 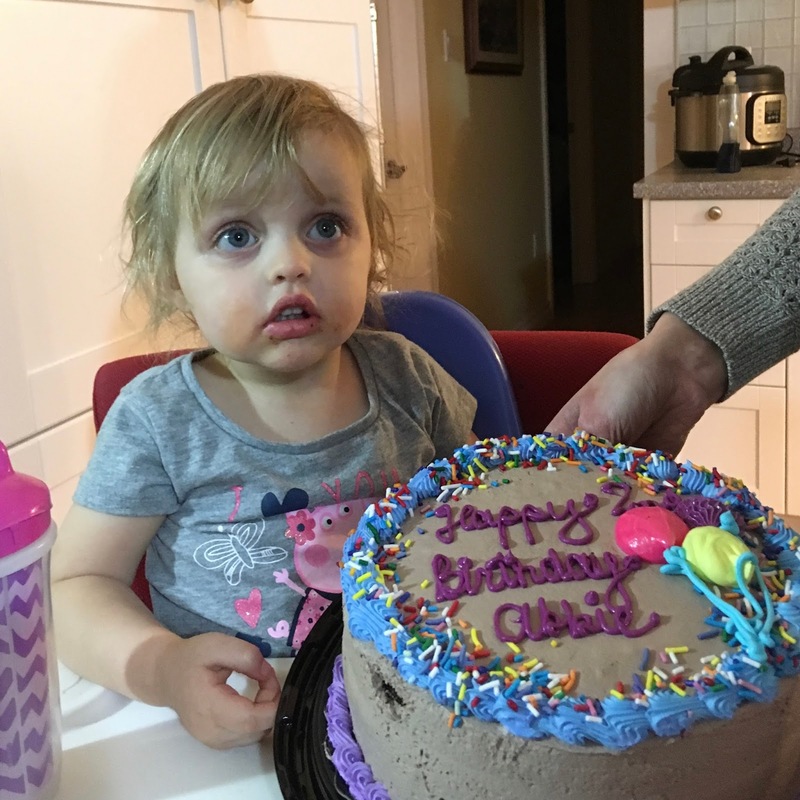 Oh, and the other thing that took up some time this week, much enjoyed time, was celebrating this sweet little girl turning 2 on Friday. How on earth did that happen so fast?!?!? I’m linking to Kathy’s Slow Sunday Stitching.